Officials of the Revenue Department have prepared the annual return form, which will be discussed in the GST Council meeting on July 21. 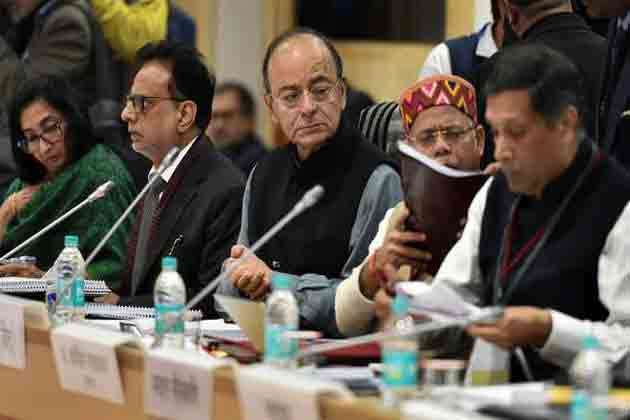 [New Delhi]: GST (commodity and service tax) council is expected to get GST annual returns and audit form approved in the meeting on July 21. Apart from this, the country's industry is also hoping that it can be matched with its annual income tax return as the government is constantly making efforts to prevent tax evasion. Significantly, the goods and services tax was introduced in the country on 1 July 2017. This will be the first year after GST is implemented, when the businessman will enter the first annual GST Return (GSTR-9) for the financial year 2017-18, it is to be filed by December 31, 2018. Not only those business people whose turnover is more than two crore rupees, they will also have to submit their audit reports with their annual returns. Officials of the Revenue Department have prepared an annual return form, which will be discussed in the GST Council meeting on July 21. Let us know that the GST Council is headed by the Union Finance Minister and it includes the Finance Minister of the other states. The next meeting of the Council is to be held on July 21. The GST network, which is providing the technical framework for the indirect tax system, will now be able to make software available to the traders to fill the returns. How to apply for Permanent Driving License in India? Iceland settles Argentina at a 1-1 draw! How to Find Direct Download Link To Any Movie (Index of movies)? Why is Blockchain difficult to understand?